Love is in the air. Again? 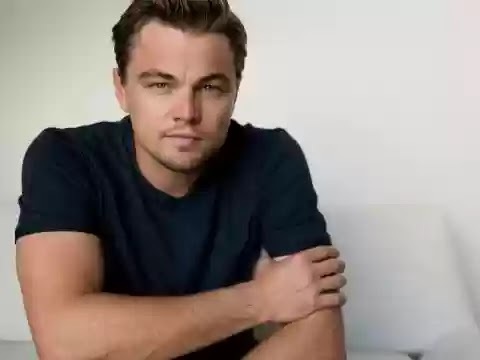 Hunky Hollywood actor Leonardo Dicaprio was spotted recently at the Men's French open final between Andy Murray and Novak Djokovic. The 41 year old oscar winner sported a pulled down flat cap and and large sunshades and seemed to be keeping a low profile as he watched the two world's best tennis players battle it out. There has been strong rumors about Dicaprio's love interest in Joey Essex's former girlfriend Roxy Horner. But some believe it might be love this time for the notoriously single ladies man Dicaprio. Over the years the handsome actor has been romantically linked to a long line of beautiful women. Some of his former lovers include Top Model Gisele Bundchen and Blake Lively and even sultry singer Rihanna has been linked to the Hollywood ladies man. But it seems Dicaprio is really serious about blonde beauty Roxy Horner. He flew to Europe admist a tight schedule to see her and took her to the Chiltern Firehouse and the Tape nightclub on Tuesday. Strangely this is not the first time the award winning actor has come over to see Horner, actually he has done so frequently since February this year after he won the BAFTA for his unparalleled performance in the Revenant. With Wimbledon around the corner he might just have another excuse to come over and see her. But as Dicaprio focused on the Men's French open final, he seemed calm and collected. While speculation went wild about whether or not Leo has finally found love in model Roxy Horner.